Welcome to Novi Sad, welcome to Serbian Athens, hospitable and beautiful city, where people, bright and cheerful, are welcoming with open hearts, sincerely and friendly. The saying goes that in Novi Sad, because of the traditional hospitality, well famous specialties, and abundance of food, good wine, music, and many restaurants – it is not easy to be a guest! Novi Sad is the capital of Vojvodina, economic, cultural, scientific, educational, health and administrative center with nearly 320 000 inhabitants. The city is situated on the left bank of the Danube in southern Backa. Two hours are quite enough to walk through Novi Sad, but certainly not to enumerate all of which would be worth to see. Our city is the second largest in Serbia. Neither too small nor too big, or as we like to say - just right. It was never the capital of a country, it was the center of Serbian culture in the Austrian and Austro-Hungarian Empire. The first national theater was opened in Novi Sad and it was the cultural center of the region. Center buildings are mostly from the second half of the 19th century and early 20th century, which gives it a nice touch of middle-European charm characteristic of all the cities on the Danube. Once in the south of Hungary, now the capital of northern Serbian province of Vojvodina, the barn of Serbia and the Balkan region with the most prominent European multiculturalism. People of different nationalities and religions have lived in harmony for centuries in Vojvodina, so it is easy to fit in here. 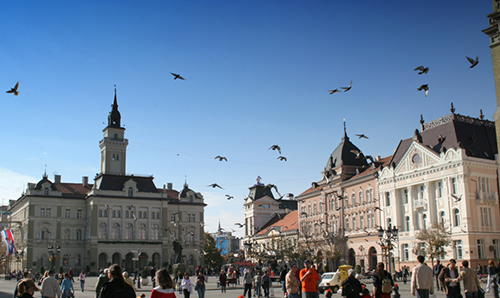 They say that Novi Sad is the easternmost city of Western Europe and the westernmost Eastern. 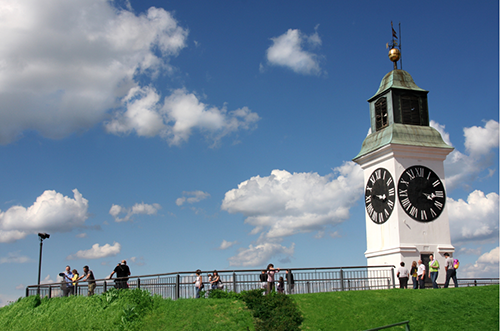 People from other areas find that in Novi Sad, everything is slower, more relaxed, and smoother. Everything is easy. Novi Sad boasts one of the most beautiful beaches on the Danube, Strand .The locals go to Strand not only to swim, sunbathe and spend summer days but also to "see and be seen". On the other side of the river is the mountain and national park Fruška Gora. On its slopes, on the other side of town is the Petrovaradin fortress.